I recently visited one of the moons of Kepler-16b, a Saturn-mass exoplanet 200 light years from Earth. 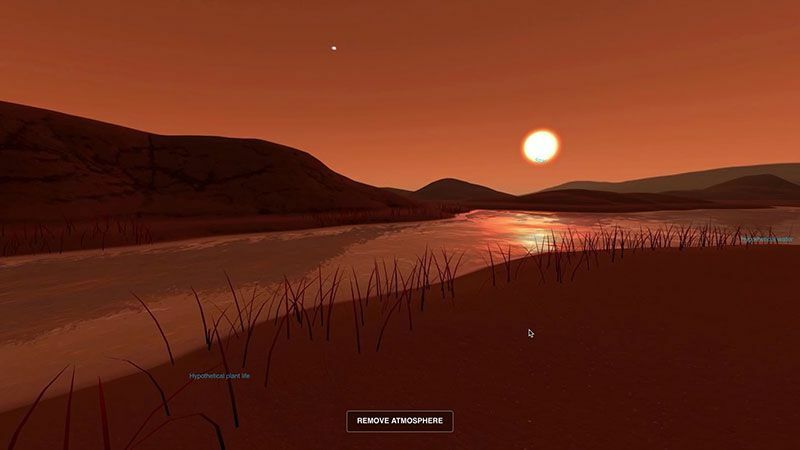 I had been super-psyched to visit Kepler-16b ever since it was discovered in 2011 as part of NASA’s Kepler Mission. But I was bummed to discover you can’t visit Kepler-16b itself (it’s a gas giant, and not habitable – I just wish I’d known this before I paid the non-refundable rocket deposit). But the moon turned out to be great: the double sun means you’ve got two shadows! And the view of the planet makes for awesome selfies. OK, if I wanted to visit a planet like Earth I could have just stayed home! Seriously, TRAPPIST-1e is basically the same size as Earth, and only 40 percent less mass. It’s even got hypothetical water! Disappointing. The only thing I liked was the red sky. I got bored after an hour and tried reading the book I’d brought, but the faint light from the dim red dwarf star makes it impossible to see. I’d been planning on taking my mother to visit the other six Earth-sized planets in the TRAPPIST system for her birthday next year, but now I’m thinking we’ll just go to Branson instead. Word to the wise: be careful to book your Kepler-186f trip through a travel agent who understands tidal locking. It turns out, Kepler-186f doesn’t rotate, and we wound up on the freezing, eternally dark side. We had to pay through the nose to move to the continuous daylight side, which is SO much nicer.